Irish health experts have criticised Demi Lovato for promoting a 'detox' tea brand containing the laxative senna leaf, and warned of the damage products like this can have on long-term health. The Confident singer (24) shared a sponsored image of herself with a tumbler of Teami Tea on Instagram last week and told fans she was embarking on the American brand's 30-day-detox challenge. The programme involves the regular consumption of a 'colon cleansing' tea containing senna leaf, an ingredient which acts as an irritant inside the colon, which may prompt abdominal cramping and diarrhoea. Dr Mary Flynn, the Food Safety Authority’s chief specialist in public health nutrition, warned of the dangers of consuming a product which has a dramatic physiological effect, without medical advice or supervision. Speaking to Independent.ie, Dr Flynn said: "Most teas are an infusion of leaves and wouldn't have any calories but might have an effect whereby they make you feel satisfied, but would not have a physiological effect on your body. If a tea has something in it that has a medicinal effect, in this case senna leaf, there is no way to tell how safe it is for the wide spectrum of people it is available to. "Taking a laxative like senna, which can have a dramatic effect, as a means to lose weight is detrimental. Taking laxatives means that the body does not have the time to absorb nutrients, vitamins and minerals from food, which obviously isn't healthy." Lovato's promotion of this type of product is perplexing, says dietitian Orla Walsh, considering the star's openness about her battles with eating disorders in the past. The dietitian says products containing senna leaf are a dangerous "gimmick" and can only have a negative impact on the body. "Demi has previously discussed her history of disordered eating, so I'm surprised that she's accepting money to promote a weight loss gimmick. "She is often reported to be encouraging women to celebrate and be kind to their bodies. Yet here she is promoting a detox tea that claims to help with weight loss," she said. Walsh says teas containing ingredients which have a laxative effect will cause the scales to go down, but through fluid loss and dehydration, not fat loss. "A lot of the ingredients in teas like this are designed to cause water loss from the water. Although a loss of water will cause the number on the scales to go down, this is very different to fat loss. "Some teas like this contain senna which has laxative effects. For some people this may result in diarrhoea. For those that suffer from constipation, it's putting a bandaid over the problem rather than searching for the root cause. "This product will help you lose pounds from your purse, not from your body," she said. Dr Flynn warned that consuming laxatives when they aren't needed can have a detrimental impact on long-term health and a damaging effect on the body's vital organs. "These teas aren't beneficial, they are the opposite. Seven days of losing nutrients and every bit of goodness from our food will have a definite effect on the body, and doing that regularly will of course have a long-term impact. "There is no quick fix to weight loss, except making a conscious effort to eat healthily and exercise." 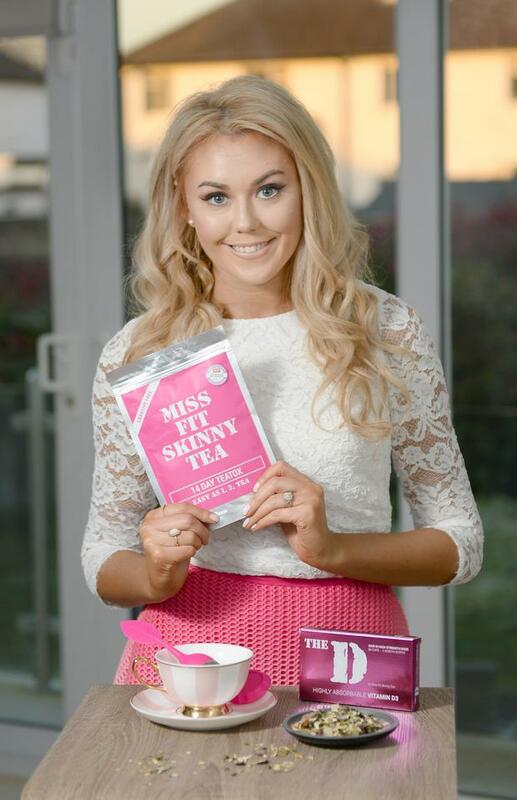 Ruth Hetherington, creator of Miss Fit Skinny Tea, an Irish product which does not contain senna leaf or other laxatives, said celebrities and influencers need to be more conscious when it comes to the types of products they promote. "Celebrities like Demi might be seem like they support young women but once the dollar signs come up they forget about it. The long-term effects of taking teas like this are quite significant. "I completely disagree with celebrities promoting any product which contains senna. Demi's fans are predominantly body conscious young women, they look up to her, and to promote such a product is dangerous. "I've seen one Irish influencer promoting a tea product with senna, but for the most part I do find bloggers and influencers in Ireland to be responsible," she said. Dr Mary Flynn said it is the responsibility of the Food Safety Authority to target products which have a potential to have damaging physiological effect on the consumer and remove them from the shelves, however she also advised the buyer to beware when shopping online. "There is a line that is often crossed where food becomes medicine. "If you have something that looks like food, but that is having a physiological effect that is a danger. "Anybody in Ireland who is worried that they have purchased a food product which is having a physiological or medicinal effect should call our helpline. "With regards to products purchased online from the UK or the USA, it is a case of buyer beware, certainly." Teami Tea has not responded to requests from Independent.ie for comment.